Andreas Jäger, an Engineer, Marketing Expert and Manager by trade, joined the team of Airport Consulting Vienna in 1996, when he moved to South Africa. He was appointed Area Manager SADC (Southern African Development Community). During 22 years of work in the field of airport (greenfield) development, strategic planning, traffic development, marketing, legal frameworks, white papers on aviation and tourism, environmental assessments and quality assessments a great deal of understanding towards the specific African situation in the aviation industry was achieved. He was involved in almost all major aviation projects in Africa. 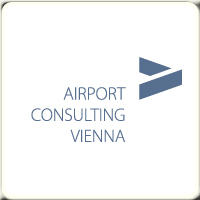 Since 2002 Mr. Jäger was appointed Manager Africa for Airport Consulting Vienna and applies his knowledge on cross-border development within the African continent. Currently Mr Jäger is a team member of the New Bugesera Int´l Airport/Rwanda, drives a similar greenfield project in South Africa (Nkangala Int’l Airport Project) and is further involved in various projects in West.- and East Africa.